Plants Dash (Free) by 5mina is an arcade game that focuses on vegetables. Most people, myself included, would want to smack all of the vegetables to a pulp. 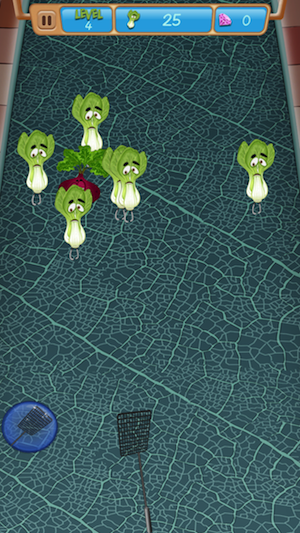 However, the developers of this game have decided that there are some vegetables worth saving. We will agree to disagree. 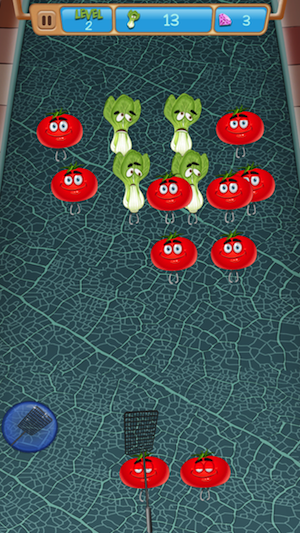 The game consists of groups of vegetables moving toward you. 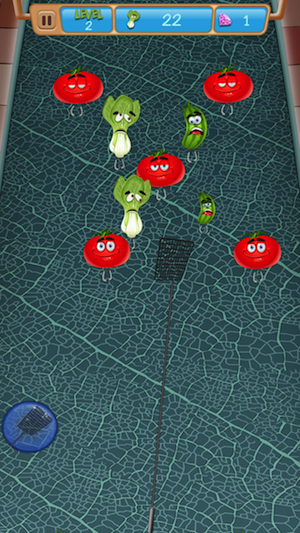 You are equipped with a fly swatter to hit the veggies with. 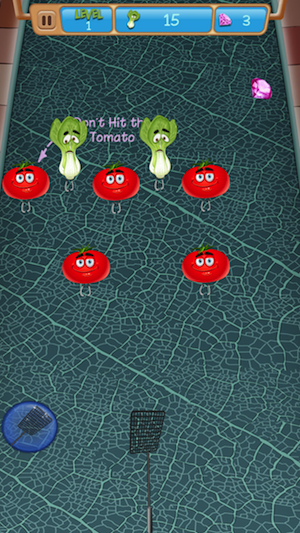 The tomatoes are allowed to move to the bottom of the screen. The other vegetables like the celery, carrots, or beets have to be squished by the fly swatter. 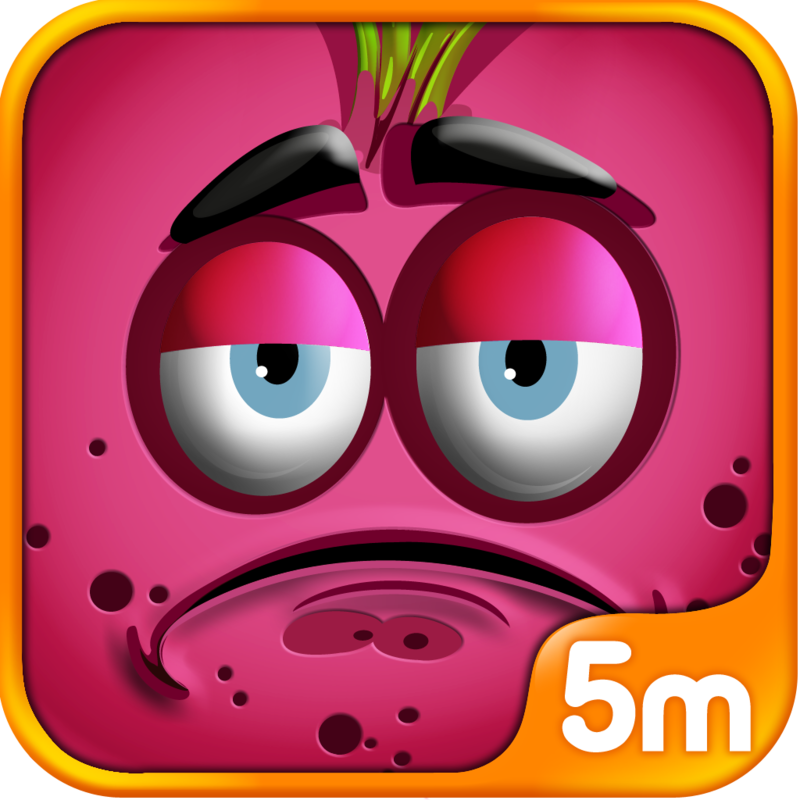 Part of your score at the end of the level is determined by how accurate your aim was. 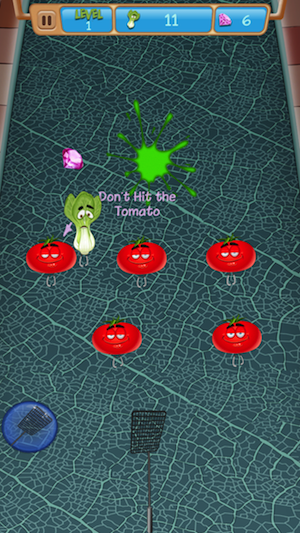 Hitting a tomato will cause your score to go down. If you hit too many, you’ll lose the level. As you smash vegetables, some of them drop gems for you to pick up. These gems can be used to purchase items in the store. However, these items are often expensive. It would take a long time to earn enough gems so that you could buy them. You can buy more gems through in-app purchases. The gem packages range from 500 for $0.99 to 25,000 for $3.99. If you want to remove the ads, you have to purchase a gem package. The ads in the game appear at the beginning when you first open the app and when you move to the main menu. You don’t see any ads while actually playing the game. 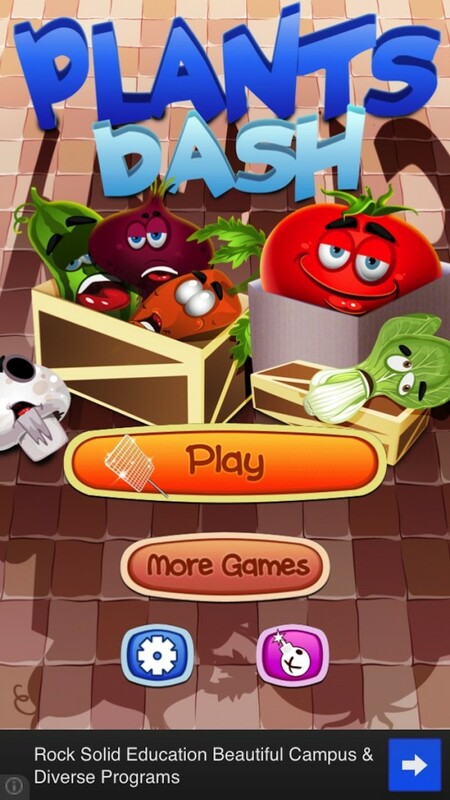 If you have some sort of deep hatred for vegetables, or if you just happen to enjoy whacking things with a fly swatter, this is a great game for you. 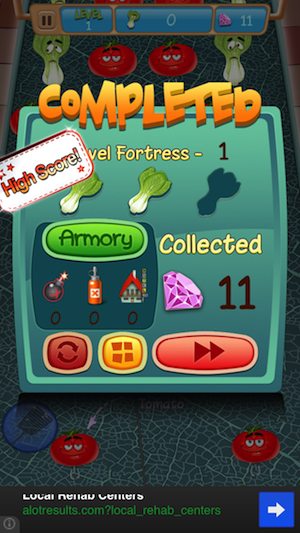 The gameplay is difficult since you’re aiming for moving targets, and you have to be careful to avoid any tomatoes. Give it a try. Plants Rush is a universal app, and it’s available in the App Store for FREE!